Representative Doyle, the Ranking Member of the congressional subcommittee with jurisdiction over communications issues, will describe recent legislative achievements and the prospects for additional work related to public safety communications. APCO senior staff will orient attendees with its vision for the future of emergency communications. Using a scenario, the presenters will describe how 9-1-1 professionals will use broadband tools to enhance emergency response, and what new ways of thinking will be needed to get us there. Hear from the practitioners — local area directors of 9-1-1 centers — on what they need to achieve the vision of an advanced, broadband-enabled, emergency communications solution. A $115M federal grant program to support 9-1-1 is underway. 9-1-1 fee diversion has become a topic of increased focus. And momentum is building for major legislation to achieve NG9-1-1 nationwide. APCO’s Chief Counsel will describe recent developments and strategies to ensure we maximize the potential for funding 9-1-1. Finding wireless 9-1-1 callers is getting faster and more accurate using handset-initiated location. Learn how these technologies compare with existing carrier/network-initiated location, and what additional steps are needed to deliver the best location to public safety. Discover what West learned after testing Google’s ELS using live in 9-1-1 call data. PSAPs have been promised major improvements associated with 9-1-1 calls: more accurate location information, location-based call routing, multimedia to the PSAP, and much more. Citizens, reliant on smartphones and other IoT devices, expect their data to be available to public safety in an emergency. 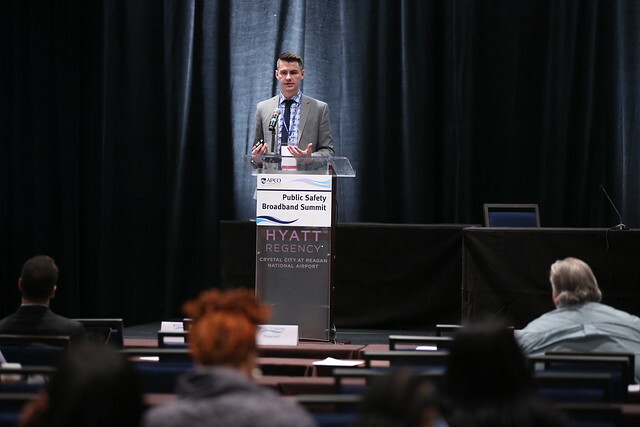 This session looks at how PSAP managers, supervisors and telecommunicators can utilize life-saving data from the NG911 Clearinghouse (from sources like Apple, Uber, and Waze) in their PSAP workflow. By analyzing real-life case studies, 9-1-1 professionals will leave with a clear understanding of how NG911 Clearinghouse data can improve response times and provide first responders with unprecedented situational awareness. Contraband cellphones in prisons threaten public safety and present a challenging technical issue. The wireless industry is working currently with corrections officials and solutions vendors to evaluate possible solutions that would prevent this illegal cellphone use without risking interference to public safety communications or legitimate calls. FirstNet is delivering on the vision for interoperable broadband communications with priority and preemption for public safety users. This session will include information on early adopter experiences and FirstNet’s plans for the near future. Many new developments are occurring in the field of 9-1-1 location accuracy, presenting additional options for PSAPs. When it comes to location technologies, there are a number of important considerations for evaluating these offerings. An examination of the cybersecurity risk landscape, recent incidents and root causes, explanation of key elements of cybersecurity, and a discussion about sector-specific threats to PSAPs and emergency communications. Discussion will also include how PSAPs can benefit from centralized intrusion detection and prevention and associated systems to achieve economies of scale and gain access to multiple resources, and plan for the future. Our public safety infrastructure is evolving. PSAPs are preparing to receive multimedia and data from citizens in need of help, and first responders are beginning to use FirstNet and other Public Safety Broadband networks. As our cities become smarter and we deploy Internet of Things devices both inside and outside our centers, we become ever more interconnected to IP-based networks. These advances bring great benefits to all parties: citizens, 9-1-1 telecommunicators, dispatchers and first responders. However, they also bring new and different vulnerabilities for which public safety will need to be prepared. In this session, we will discuss the seven cybersecurity challenges that our 9-1-1 centers face with this transition, how to address them, and what questions you should be asking your vendors. The Internet of Things (IoT) promises to enable objects and devices to connect and communicate data. Such innovation can have a transformative and valuable impact not only on day-to-day operations and activities but also mission-critical, lifesaving communications in the public safety industry. This session will focus on those opportunities which IoT presents to public safety and how this network can be leveraged to deliver enhanced 9-1-1 call data during emergency situations. Allegheny County officials will describe the development of a state-of-the-art 9-1-1 center, which will be operational in 2019, and the transition to Next Generation 9-1-1. Discussing alerting challenges and changes in the works. The demand for spectrum to support WiFi and commercial applications is increasing. Public safety must have its traditional spectrum needs protected and given room to grow for advanced broadband applications. Next Generation communications systems bring exciting new capabilities and possibilities to our ECCs. However, as with any technology, they also present new challenges. While we may be aware that threats exist, many do not understand just how vulnerable our public safety systems are to cyber attack currently. ECCs are faced with substantial cybersecurity risks through various cyber attack vectors that include spoofing/swatting, distributed denial of service (DDoS) and ransomware. Understanding these threats is an important step in preparing for the increasingly complicated cybersecurity landscape for NG9-1-1. This session will describe specific attack vectors and how basic cyber hygiene will assist in the mitigation of those attacks. APCO’s Chief Counsel will provide an update on the latest regulatory and legislative developments impacting public safety communications.